"Would Never Stay In This Unit Again Stay Away"
We booked this unit for our family of 6 for Spring Break 2018, it was run down, did not have enough place settings for a family of 6, there were only four dinner plates, bowls we had to go out and buy additional plates. It said it had bath towels not enough for us it did not say what it had. The washing machine broke and was stuck on the soak cycle so we had to drag soaking wet towels out of the washing machine and put them in plastic bags until maintenance came the next day to fix the machine and to top it all off the fridge died and our food was spoiled so we had to toss all the perishable in the trash we had enough and called the representative so we could move to another unit. So stay away this place was HORRIBLE!!!! and very disappointing. "Los Cabos region is a great player for family trip"
Amazing nature, nice people, easy to drive, cost effective activities. Be aware, if you ask prices in Spanish you get answers in Pesos, typically cheaper than USD. Likewise others places in the world, better to show up as local. Very happy with this place. It was perfect for what we needed, and communication was excellent. The view is beautiful and the staff @ Casa del Mar were wonderful. This is a great place to stay. A well equipped condo with spectacular views of the beach and sunsets. Its located on the third floor making it great whale watching as well. My wife and I took our one and a half year-old along with her parents for a week. The condo was perfect for the five of us, enough room and a complete kitchen allowing us to cook meals when we didn't feel like going to town or the Restaurants. The condo is right by the main pool with swim up bar, and restaurant. The staff there was amazing especially Zachariah, and Louis, they would greet my son with hi-fives every time we walked to the pool or the beach. The food was amazing. The complex has multiple pools, but we mainly used the main pool because of the kiddie pool that my son enjoyed. The beach was beautiful, but there is a strong under-tow so be careful. It was better for a stroll or sitting in a lounge chair enjoying a cerveza. I did swim once or twice but would not recommend it for young kids or inexperienced swimmers. For good snorkeling and swimming check out Chileno beach just a couple miles down the road towards Cabo San Lucas. The beach only had one or two people selling stuff, and they would leave you alone after you said no once. There was horse back riding on the beach down by Dreams, which made a great afternoon. I would recommend renting a car or be prepared to pay for taxi rides to get to Cabo San Lucas, and San Jose Del Cabo each town has its own feel and are only about 10-15 minutes away. This is also where you will need to do grocery shopping, we went to Costco, Walmart and Mega during our trip. We were there for new year's eve and the restaurant had a special dinner with live music, and then a bonfire with fireworks on the beach at midnight. We had a wonderful time and are already planning to return. This is the second time we have stayed in this particular condo. We are extremely pleased with the atmosphere, the ammenities, and the wonderful view. "I'd stay here time and time again!" This property was better than we could have expected. Beachfront condo with amazing views and a very cozy interior. My partner and I enjoyed every aspect from cooking in the kitchen, to watching the sunset and rise with a cup of coffee each day. The concierge for the hotel is also extremely helpful and accommodating to the condo guests and of course daily maid service is always welcome. As my title says, we'd stay here time and time again! "Great place for relaxing vacation"
Great property. Location away from the crowd but allowed us to split our time between Cabo San Lucas and San Jose. We didn't use the balcony jacuzzi...would have preferred the added sitting space instead of jacuzzi. If you love the beach you'll love Casa Del Mar and Pelicano 301. Perfect location in the Los Cabos corridor. Right next to Las Ventanas!! Only 10 minutes to San Jose del Cabo, a much more interesting town than Cabo San Lucas which is too touristy for us. Very well equipped villa on the 3rd floor. Great view. Casa del Mar is a high end, immaculately maintained, villa development anchored by a luxury hotel. Multiple pools and restaurants including one directly on the beach. Very good food, some of the best we found in Cabo. Minutes to the best golf in Cabo. This was a great place to stay, very peaceful in Mid-May, flowers everywhere, beautiful! The photos are exactly as is. The view and sound of the ocean was incredible from the balcony. Definitely would want to have a rental car as the resort is not in walking distance from either nearby town. The resort is perfectly maintained, great service, not crowded. It felt very private. Can't wait to go back again! Would recommend going to San Lucas one day and taking a boat to see the Arch! San Jose has a beautiful local catholic church where we attended services. Also nearby One and Only resort has an incredible restaurant with an ocean view. Recommended for: Girls Getaway, Romantic Getaway. Condo was as described on website. Perfect. Comfortable beds, fully equipped kitchen and panoramic views from living area and master bedroom and a full size patio. Beach outside condo is idyllic. A surf beach with a strong undertow but we swam as we are strong swimmers. Beach in front of Hilton is a short walk and a beautiful swimmable bay. Whales were in front of the condo all week jumping and putting on an amazing show. We had wonderful massages on the beach just adjacent to the condo. Would thoroughly recommend. Casa del mar is a wonderful resort and the pool and bar were wonderful albeit expensive. $12 for margaritas and the food was astronomically high. Wait staff were very friendly and accommodating. Pool area was usually deserted and there are beach chairs for guests on the beach that are not part of the beach club. Beach vendors werein abundance but not pushy. horseback riding was popular and lots of fun$35-$40 each for an hour. Wireless internet was a huge bonus. Unable to get English speaking TV programmes on Tv but we didn’t try very hard and it wasn’t a huge problem. Would love to return again, SOON. I am looking for cheap flights! Thank you. Condo was as described on website. Perfect. Comfortable beds, fully equipped kitchen and panoramic views from living area and master bedroom and a full size patio. Beach outside condo is idyllic. A surf beach with a strong undertow but we swam as we are strong swimmers. Beach in front of Hilton is a short walk and a beautiful swimmable bay. Whales were in front of the condo all week jumping and putting on an amazing show. We had wonderful massages on the beach just adjacent to the condo. Would thoroughly recommend. Casa del mar is a wonderful resort and the pool and bar were wonderful albeit expensive. $12 for margaritas and the food was astronomically high. Wait staff were very friendly and accommodating. Pool area was usually deserted and there are beach chairs for guests on the beach that are not part of the beach club. Beach vendors werein abundance but not pushy. horseback riding was popular and lots of fun$35-$40 each for an hour. Wireless internet was a huge bonus. Unable to get English speaking TV programmes on Tv but we didn’t try very hard and it wasn’t a huge problem. Would love to return again, SOON. I am looking for cheap flights! Thank you. Only negative was the patio ’hot tub’. It is really a bath and took two hours to get to an appropriate heat. We only used it once. A nice touch but needs updating. "We love the condo and the view of the ocean." The condo was great with an excellent view of the Sea of Cortez. We could see whales and dolphins playing in the ocean. We like that the resort was not overly crowded very easy to get lounge chairs by the pools or at the beach. The Condo was fine, we had a few problems with the entrance lock but that was fixed as soon as we call maintenance. The satilite television system is more for Spanish speaking people, so we would rate it as poor if you're looking to view sports or other entertainment shows. We stayed for 30 days and the only other item that we believe is required is some sort of transport dolly to move heavy items, groceries, coolers etc. from the parking lot to the condo suite. If these items are addressed it would be 100% for anyone wanting a perfect vacation. Wonderful experience! Beautiful resort with outstanding service. The grounds were immaculate and the location was perfect. Just a special note to you to thank you for all your help in planning our Cabo trip! The wedding we attended was just beautiful and we enjoyed our stay at Pelicano #301. My son, Jeffrey and his wife arrived a few days ahead of me and my husband and they could not have been happier. We got all our documents and everything went very smooth for a first trip there, hopefully not our last. I would certainly use you again and will refer anyone who is traveling that way. Thanks again for helping us have a wonderful vacation. 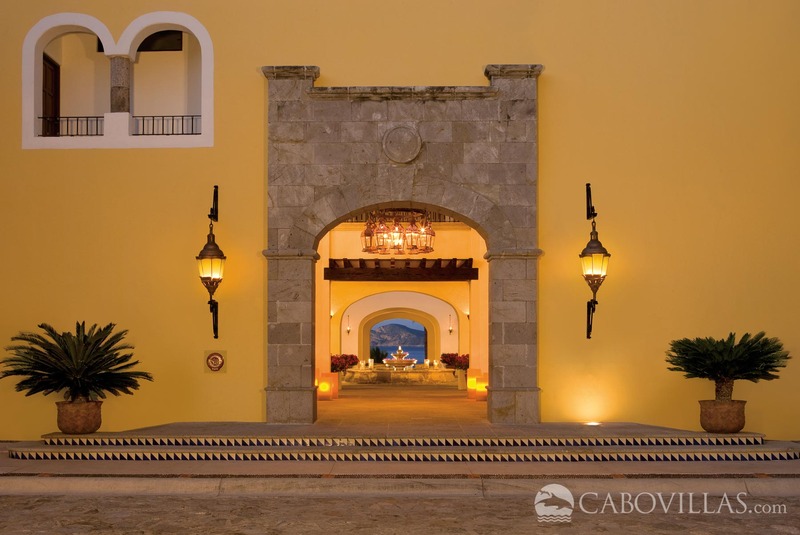 Casa del Mar is the perfect Cabo vacation spot if you want a quiet, relaxing vacation. No crowds, beautiful views, a few steps to the beach and pool. The staff was very friendly and helpful without being obtrusive, the lunches were also very good at the pool bar. We also liked the fact that we were within walking distance of one of the few swimmable areas on the whole Corridor--in front of the Hilton. The condo had all the facilities that you would need. We definitely would come back! Again, the views are amazing and there's nothing quite like the sound of the waves crashing on the beach. We stayed in a Casa del Mar condo (Pelicano 301) last week and everything was perfect! We could not have asked for anything better. The service, accommodations, and people were all first class. I've already had a couple of inquiries from friends that I'll send your way. We'll definitely go thru you again when we return to Cabo. Beautiful resort with outstanding service. The grounds were immaculate and the location was perfect. Casa del Mar is the perfect Cabo vacation spot if you want a quiet, relaxing vacation. No crowds, beautiful views, a few steps to the beach and pool. The staff was very friendly and helpful without being obtrusive, the lunches were also very good at the pool bar (can't say the same about the dinners inside). We also liked the fact that we were within walking distance of one of the few swimmable areas on the whole Corridor--in front of the Hilton. The condo had all the facilities that you would need--but note that there is no grill and no supply of basic seasonings that we have found at other condos. We definitely would come back! Again, the views are amazing and there's nothing quite like the sound of the waves crashing on the beach. View from Casa del Mar Pelicano 301 was fabulous! Pools were great! Appreciated the information/advice you sent with reservation and keys! We stayed in a Casa del Mar condo (Pelicano 301) last week and everything was perfect! We could not have asked for anything better. The service, accommodations, and people were all first class. I've already had a couple of inquiries from friends that I'll send your way. We'll definitely go thru you again when return to Cabo. Casa del Mar is a wonderful relaxing resort. We especially enjoyed the "Oasis" on the beach for lunch. 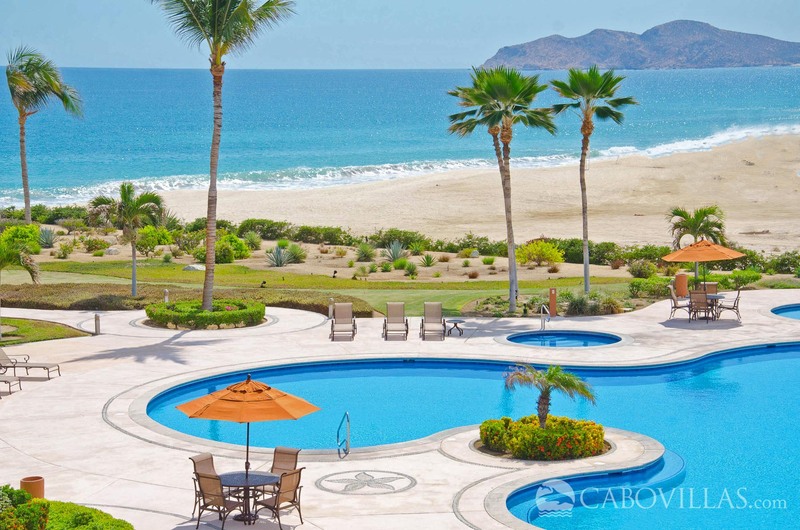 Casa del Mar is the perfect Cabo vacation spot if you want a quiet, relaxing vacation. No crowds, beautiful views, a few steps to the beach and pool. The staff was very friendly and helpful without being obtrusive, the lunches were also very good at the pool. We also liked the fact that we were within walking distance of one of the few swimmable areas on the whole Corridor in front of the Hilton. We definitely would come back! Again, the views are amazing and there's nothing quite like the sound of the waves crashing on the beach. Kassi, just a special note to you to thank you for all your help in planning our Cabo trip! The wedding we attended was just beautiful and we enjoyed our stay at Pelicano #301. My son, Jeffrey Smith and his wife arrived a few days ahead of me and my husband and they could not have been happier. We got all our documents and everything went very smooth for a first trip there, hopefully not our last. I would certainly use you again and will refer anyone who is traveling that way. Thanks again for helping us have a wonderful vacation. It was a wonderful experience. Beautiful resort with outstanding service. The grounds were immaculate and the location was perfect. We wanted to let you know we had a wonderful time at your condo. We were so excited to have a trip just us and no children. It was like a second honeymoon. Your place is beautiful, it was so quiet and restful. Cabo was just perfect—88 degrees everyday. We loved it and fell in love with Cabo, what a fun area. We went snorkeling and on a beautiful night cruise. And we enjoyed the resort and pool for days. We had no idea there was so much to do and so many great restaurants.